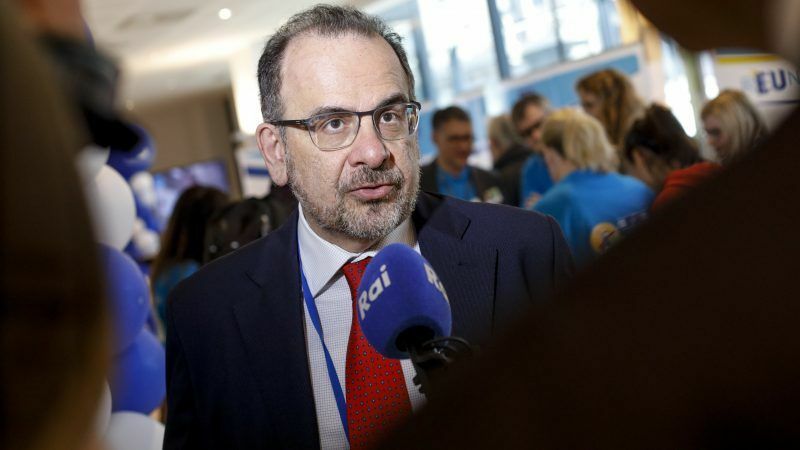 Luca Jahier is the president of the European Economic and Social Committee (EESC). Today marks the 30th anniversary of the Call to Action by Father Joseph Wresinski — which inspired the observance of 17 October as the World Day for Overcoming Extreme Poverty — and the recognition by the United Nations, 25 years ago, of the day as the International Day for the Eradication of Poverty. This year marks also the 70th anniversary of the proclamation of the Universal Declaration of Human Rights. Eradicating extreme poverty is about upholding the rights and dignity of all. We always shall remember that ending poverty is not a matter of charity but a question of justice. Today, I feel it is important to remind ourselves that European societies are prosperous and affluent places to live and to work. They have the highest levels of social protection in the world and rank high when it comes to well-being and human development. Still, we are far from an equal and just society, as many people feel insecure when thinking about their future. The financial and economic crisis of the last 10 years has demonstrated that even people who would not usually be in vulnerable situations can suddenly be at risk of job loss, over-indebtedness or inability to pay for healthcare. In 2016, the number of people at risk of poverty or social exclusion in the EU was still higher than in 2008, although the Europe 2020 target is to reduce by 20 million by 2020. One in four Europeans experiences at least one form of poverty, be that income poverty, severe material deprivation, very low work intensity and social exclusion. 118 million people (23.5%) of the EU-28 population were at risk of poverty or social exclusion, with 43 million of those not able to afford a quality meal every second day. Children below the age of 18 also have a high rate of poverty or social exclusion, at 47%, with 26 million children in the EU living at risk of poverty or social exclusion. That is unacceptable in wealthy societies. The EU in the past 5 years has tried to come up with tools to redress the unequal distribution of income. But we need to accelerate results. The promises made in Gothenburg should translate into actions. The implementation of the European Pillar of Social Rights must be backed by EU funding, otherwise, the 20 social principles risk remaining ‘lettre morte‘. In April, our Committee adopted an own-initiative opinion to call for sufficient funding resources to implement the Social Pillar. In our view, the key elements for the funding will be more flexibility in EU budgetary rules for public investment, the full use of European Structural Funds and fair taxation. Adequate social investment will be crucial for ensuring member states’ ability to accomplish the declared objectives of achieving better and sustainable social protection and enhancing the EU’s economic potential. The scope for appropriate spending could be created within member states and with the help of EU programmes, by redistributing wealth in a way that respects the principles of solidarity, flexibility and responsibility. Spending needs would be particularly large in lower-income countries and in those that have suffered drops in income in recent years. These countries would have limited potential for additional social investment, also because their spending is often restricted by the Stability and Growth Pact and its provisions regarding member states’ budget and debt levels. With this in mind, European instruments must be used to support public investment in the member states. The European Structural and Investment Funds (EFIFs) and the European Fund for Strategic Investment (EFSI), in particular, could be sources of financial support. I was happy to see that for the first time, last month, a Spanish social economy enterprise received a loan from the EIB, under the so-called Juncker plan (or EFSI). The decision did not make headline news but it was ground-breaking as it set a precedent, being the first time that funding earmarked for the European Fund for Strategic Investments was disbursed to a social economy project with the aim to create jobs for people with disabilities and investing in improving energy efficiency. The EFSI must become more social so that we honour our commitment to fight and tackle poverty and social exclusion. “Those living in poverty are the very source of all human ideals since it is through injustice that humanity has discovered justice; through hate, love; through contempt, dignity; through tyranny the equality of all human beings,” Father Wresinski once said. On this day, let’s remember that we can avoid injustice, hate, contempt and tyranny by just being humane and deliver a social triple-A before it’s too late.